Thanks! I made them! : Big Hair! Big Dreams! I Designed A Quilt! Big Hair! Big Dreams! I Designed A Quilt! Friends, I am so excited! I, a longtime admirer of quilts and quilters have finally made one myself. Not only did I make it, I designed it. I have bought many quilt patterns over the years. I have admired the finished projects, but never had the courage/skill to make my own. 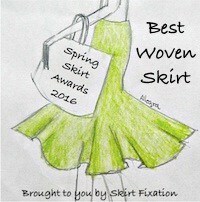 With my knee surgery and recovery, it has been awhile since I have entered a contest. Always up for a challenge, when I saw the quilt contest on Pattern Review, I thought it was time to pull out one of those patterns from my stash and finally make one. I chose a popular and fun pattern, I pulled fabrics, then nothing. I was completely unmotivated and uninspired to cut it out. I took a step back and thought about why I wasn't able to move forward. My conclusion was I couldn't make someone else's quilt when I had one of my own in my head. 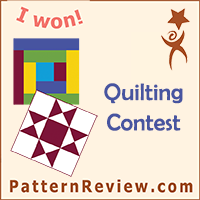 I have had a quilt design in my head for years, but not being a quilter, didn't know how to execute it. I have access to a laser cutter and have been playing with various media, wood, cork, foam and acrylic. Once I calculated the settings to cut fabric, I knew applique was a viable design option to finally make mine. I was inspired and excited to figure out how to do it. Given my skills, I decided on a quilt-as-you go and applique techniques for mine. You may remember that Little Miss was teased by a child on the playground about having "weird" hair. 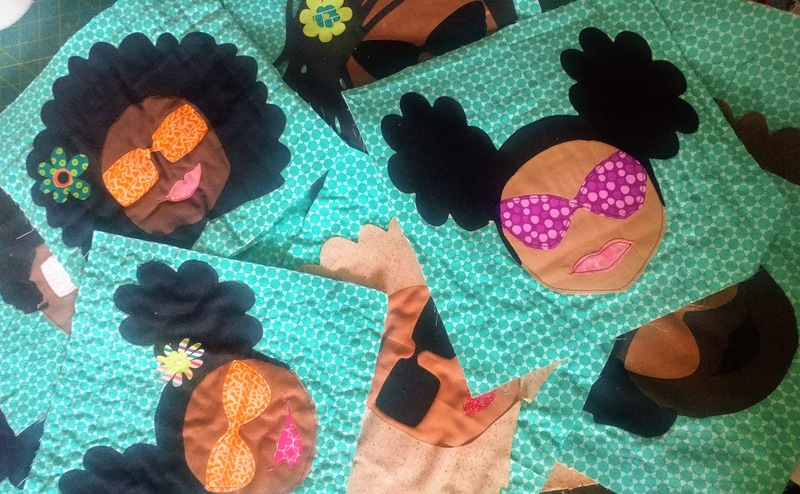 I began designing Natural Hair love, fabric and embroidery designs to remind her of her awesomeness. I have expanded on that theme with this small scale "Good Hair Day" quilt. It features three girls with the fun hairstyles of Afro puffs, an Afro and Dreadlocks. It showcases hairstyling tools and accessories and the words "Big Hair, Big Dreams". Once I got started, I made many faces in various hairstyles, skin tones and accessories. I was all in! I was on the way to making a king size quilt when I rechecked the rules and discovered the size was limited to 36 inches wide! It was a good thing I checked because I didn't know how much work was involved. 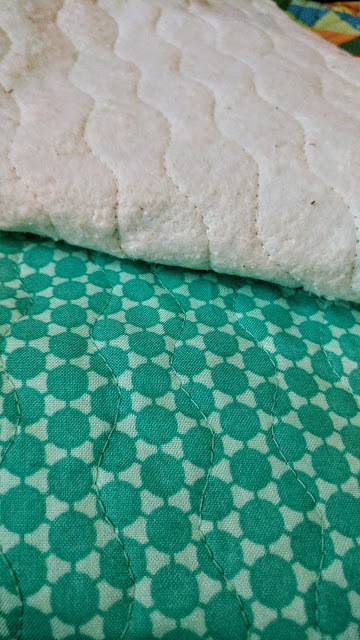 The fabric blocks are cut to size and quilted to cotton batting. I used various stitch patterns on each block as a testing ground for the techniques. The appliques are fused and sewn to the top fabric to create the blocks. I had a hard time choosing the text for this quilt. We had a long list of text for this quilt. In the end, she went with "Big Hair, Big Dreams". The appliqued quilt blocks and batting are stitched together to make the top. The quilt is then backed and then bound. Because this is a wall hanging quilt, I added a rod hanger to the back. As a first attempt, I am very happy with this! Little Miss loves it and can't wait for her bed sized quilt. There is a fine line between self-awareness and self-deprecation. I see the errors in this process and know it is far from perfect. I will make refinements in the process before moving forward with. I have a gaggle of girls in my sewing room and I am excited to improve on the future makes. If you would like to see the other entries, and possibly vote for mine, I would appreciate it. Voting is open now! Click here!. Thanks so much for your kind words Jean. It means so much to me. If I don't find silver linings in bad situations, I will be defeated. What a great mom to make such a special quilt! Thanks! She is a great child to provide such inspiration! This turned out so great! I think you can make just about anything when you put your mind to it. Your daughter looks like she loves it! This quilt is awesome! I love it! I love the message you are sending to your daughter, which is the more important part. Sewing is such a great method of self expression. Do you have extra blocks? Make another one! Happy Sewing. Thanks so much! I do have extra blocks! My daughter insists I make a full-size quilt for her bed with it!😀 I think I will! Your quilt is fantastic! I'm so glad you went with your own inspiration rather than choosing someone else's idea. Thanks so much Carol! I'm really glad I went with my heart on this one too. I love it! That is gorgeous! Space dye Activewear: Mama and Me. The Time for Easy Summer Dresses Is Here!